Gun Control Debate » Is it necessary to have gun control? You are here: Home // Against Gun Control, Gun Control // Is it necessary to have gun control? Is it necessary to have gun control? Before we talk about whether it is right or wrong to have gun control and is it playing any role in the betterment of our society; we need to know what exactly gun control is? Gun control is basically an effort by our legal infrastructure to reduce the ownership of guns by the locals. It is also applicable on the shipment of certain guns and their production as well. Large production would mean that the producers would put in every single effort to ensure that all the guns produced are sold out. Despite all the gun control measures numerous local people have easy access to all the ammunitions they want. Gun control against the one who is life threatening can be supported but there is no point to own guns by local people.Those locals might use those guns even when they are not required. Human nature is very unpredictable, you can never guess what is going on in one’s mind at some time and the calmest person may turn out to be the most dangerous at any time. Guns are not toys and no one can be trusted with their possession. It is still a hot debatable topic whether people should be allowed to possess guns even when they do not need those. 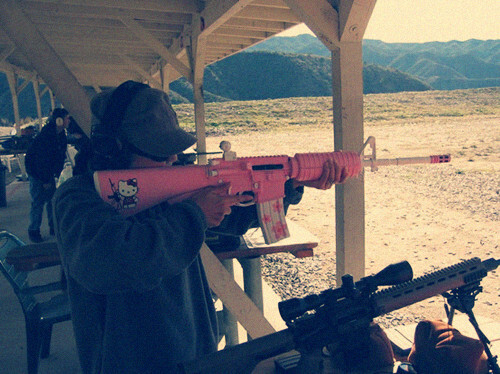 Many people keep guns for the sake of fun or maybe hobby. It’s not that these guns are never used in fact they use it for the sake of celebration by firing in the air and numerous cases have been reported when a number of people lost their lives to this so called celebration. People who are gun controls against can never give some authentic arguments for the possession of guns. There is a large group of people who want the federal bodies to further tighten the gun control. Many people argue that they must be allowed to possess guns as they need to have something for self-defence and when it comes to the protection of one’s life then people who are guns control against can’t be argued with. Then there is this other very authentic argument by those who are guns controls against; they say that they can stop crime from happening on the spot. Obviously if a spectator of a crime scene possesses a gun then he won’t just stand and witness the crime. The gun in his pocket might give him the courage to fight the problem makers. The gist is that every law and every single object in this universe has its own pros and cons and it is their usage that makes them what they are! 1 Response to " Is it necessary to have gun control? " It is interesting that you and many others think this is a debate, however in order to have a debate the evidence must be in doubt or very scanty indeed. A review of of the available evidence was exactly what the National Academy of Sciences did. This prestigious organisation examined 253 journal articles, 99 books, 43 government publications, 80 gun-control laws, plus their own studies. Its findings are published in a 328-page report. It could find no evidence to support the conclusion that government restrictions on firearms reduces gun crime, gun violence and gun accidents. Nor was this finding isolated or a mistake. The CDC a known gun control propaganda factory which had its funding cut by congress for wasting tax payers money conducted its own research to reverse that congressional funding cut. In October 2003, the Centre for Disease Control concluded after examining its selected best 52 studies, papers and laws, there is no meaningful proof gun control efforts have any affect on crime control. Nor is this information new or unknown. The Carter administration intending to build a case for comprehensive federal gun restrictions handed out a major research grant to professor James D. Wright and his colleagues Peter Rossi and Kathleen Daly. Wright and his colleagues were asked to survey the state of research regarding the efficacy of gun control, presumably to show that gun control worked and that America needed more of it. When the researchers produced their report for the National Institute of Justice in 1982, they delivered a document quite different from the one they had expected to write. Carefully reviewing all existing research, the three scholars found no valid evidence that America’s 20,000 gun-control laws had reduced criminal violence. By now it has become quite obvious that there are no reputable valid competing studies that show a different outcome. Or that some gun control works but not others. Gun control is a complete lie. The only question that remains is why is nobody aware of this fact and how are organisations like the SAPS, government and gun control given credibility and coverage for what there is no evidence to support, gun-control. Is public safety, the lives and well being of everyone including children so easily thrown aside by the SAPS, government and the media in order to promote the falsity of gun-control? Your statement that there is some success of gun control has absolutely no evidence other than the tainted biased utterances of gun control and government. None that a number of prestigious research organisations and researchers could find. I defy you to draw up a list of successful gun control laws and show this law reduced crime, the supply of guns to criminals or increased public safety from anywhere in the world. Do comment on the statistical significance if you by some miracle can find one. Based on the available evidence for what possible reason could anyone demand gun control or gun control laws? What would be the valid justification?